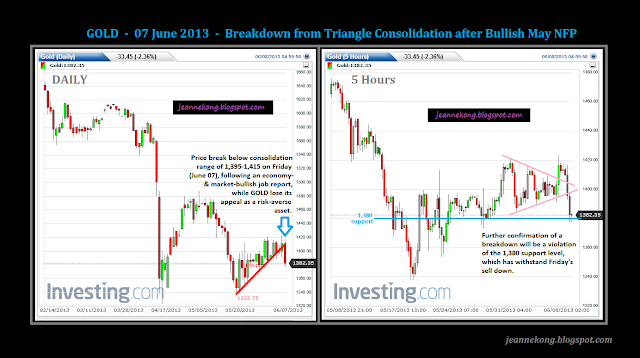 No surprise from FKLI, with its daily range grew narrower by the day as the candles squeezed towards the apex of its triangle consolidation pattern. 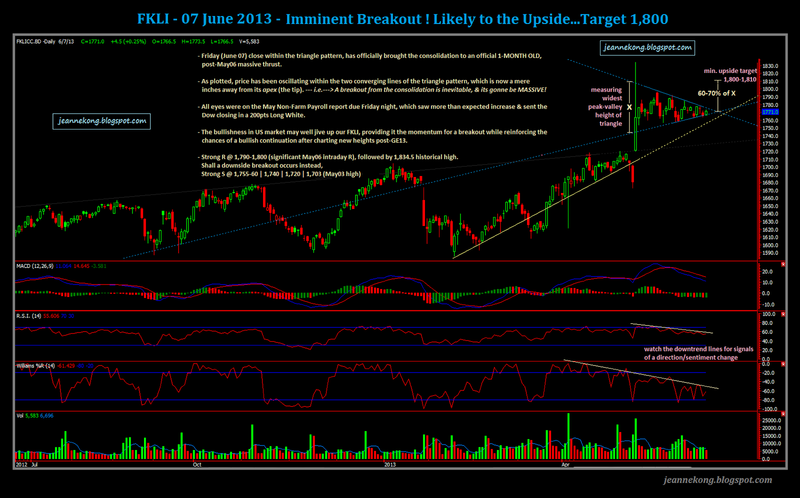 Expect a momentous breakout, given the month-long consolidation post-May06 thrust. I've been more inclined to an upside breakout since late last month, a hypothesis further strengthened by the bullish performance on the Dow, up 200pts on Friday night following a better-than-expected May Non-Farm Payroll (NFP) report. Unemployment rate was slightly higher than consensus at 7.6%, but it seemed largely disregarded by investors/traders. I did a measured target for the impending breakout, as did in my May31 post. 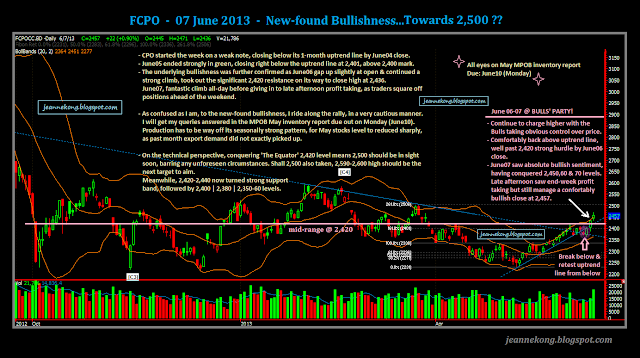 CPO made me eat my own words, having bullishly charged back above its 1-month old uptrend line, after a false breakdown at week start. Confused with the new-found bullishness, which obviously come from traders speculating on a very bullish MPOB May inventory report. Still do not see why the stocks level should fall so drastically to match such a steep rise in price. 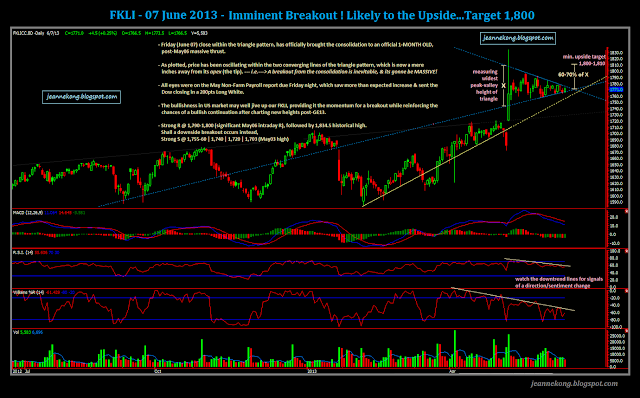 Nevertheless, its definitely a buy on strength scenario technically, albeit on a cautious note. GOLD lose ground on Friday night, after consolidating in tight range throughout the week ahead of the May NFP report. The NFP figure out was better than expected, sending stocks & commodities market high up, while GOLD bugs saw their treasured investments lost some of its glow. That's it for Week1 of June'13. Let's be more grateful & live our wonderful life to the fullest! !